Wilkes-Barre/Scranton shut-out Binghamton in its first visit to Mohegan Sun Arena at Casey Plaza in almost a year. The Penguins scored in each period, and John Muse denied 33 shots for his second shutout of the season. 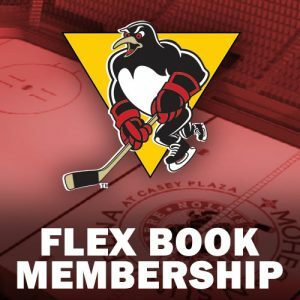 The Penguins out-shot the Phantoms 35-23, including a 15-6 margin in the third period, but Lehigh Valley used two shorthanded goals to sneak away with the win. ATO rookie Brandon Hawkins scored for the second straight game. 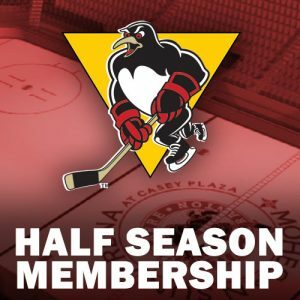 In a rematch from the night before, the Penguins and Phantoms engaged in an old-school tilt with big hits and tons of scoring. Wilkes-Barre/Scranton closed a five-goal gap down to two in the third period before the Phantoms pulled away. Jake Lucchini and Sam Miletic both registered three points. Wilkes-Barre/Scranton heads to Utica for the first and only time this season. The Penguins are an even 2-2-1-1 at the Adirondack Bank Center since 2013. 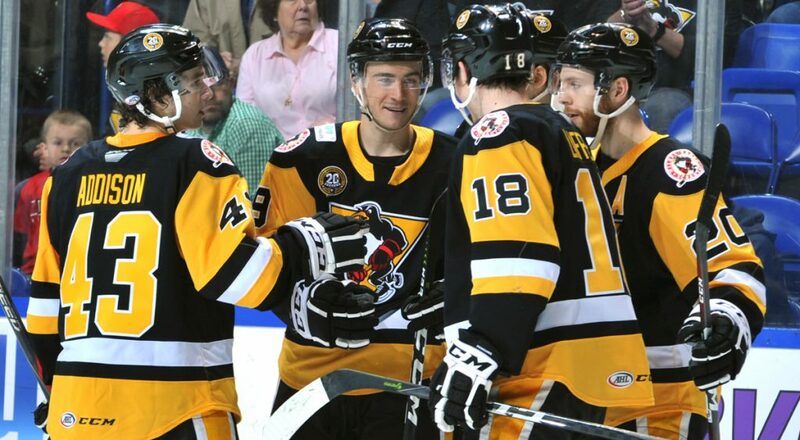 The Penguins host McDonald’s Fan Appreciation Night when they face the Sound Tigers. 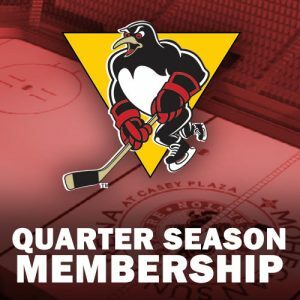 Bridgeport holds the second seed in the Atlantic, but has lost four times to the Pens this season. Wilkes-Barre/Scranton and Binghamton meet for both clubs’ final game of the 2018-19 season. The Penguins are 9-0-0-0 all-time against the Devils. The Devils currently reside last in the North and have only won four of their last 21 games. – At least one member of the Penguins’ top line (Sam Miletic, Sam Lafferty, Ryan Haggerty) has factored in on 17 of the team’s last 26 goals. – Sam Lafferty has 14 points (4G-10A) in his last nine games. – Ryan Haggerty has 12 points (7G-5A) in his last nine games. 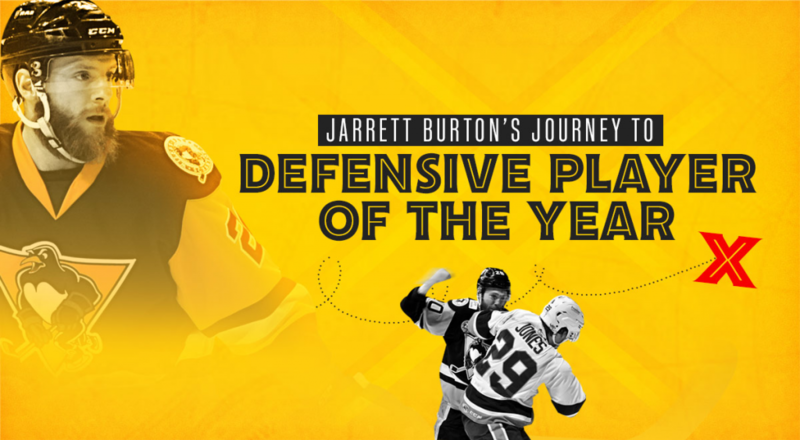 – Lafferty leads the Penguins with 12 multi-point performances this season. – Brandon Hawkins scored in both of his first two AHL games, becoming the first Penguins rookie to do so since Daniel Sprong. 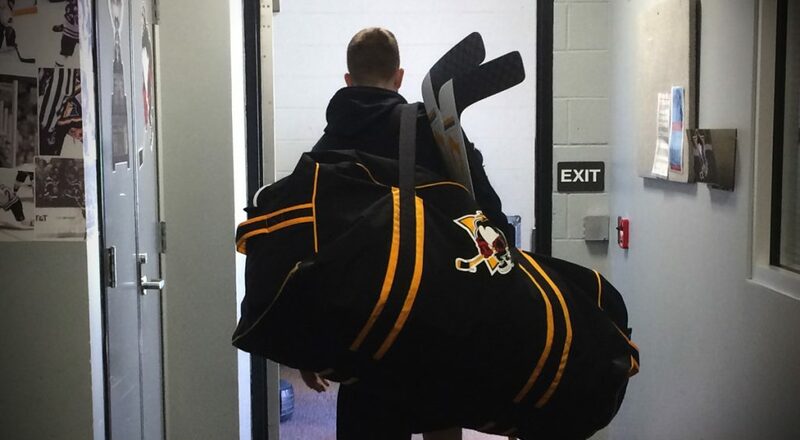 – Six of the nine games between the Penguins and Devils have been decided by one goal and five have gone to OT. Fri, Apr. 12 Utica Adirondack Bank Center 7:00 p.m. Sat, Apr. 13 Bridgeport Mohegan Sun Arena 7:05 p.m.
Sun, Apr. 14 Binghamton Mohegan Sun Arena 3:05 p.m.